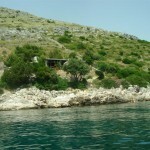 A while ago, we had the opportunity to visit the Island Brac. 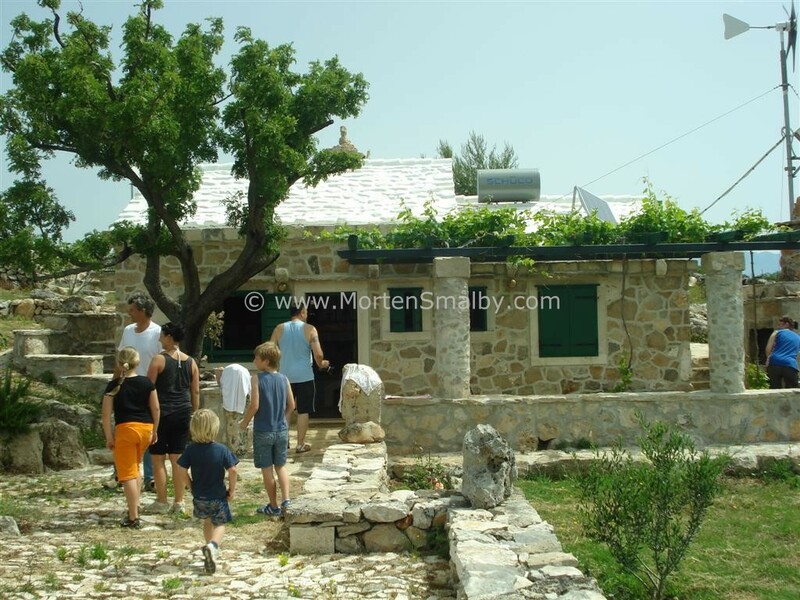 Since the island is situated close to Split, we have been there for many times but this trip was a bit different. This time we wanted to discover Selca municipality and the local tourist board was so kind and helpful when it comes to finding most interesting sights in the area. Before I start telling a story about our trip to Selca, here you have a piece of information about the island in general. The island of Brac is the largest island in Dalmatia and the third largest in the Adriatic Sea. The island’s tallest peak is Vidova Gora that stands at 780 meters.It is also the highest point of any island in the Adriatic. The most famous place on the island is the beach called Zlatni Rat (The Golden Horn) in Bol, which is among the most beautiful beaches in Croatia. The beach is also known as a paradise for both surfers and kite surfers. Brac offers much so more to see, do and experience besides this beautiful beach. Crystal clear sea, small hidden beaches, rich history and gastronomy are only few highlights of the island. The island is situated app. 8 nautical miles from Split and there are several daily ferry connections from Split to Supetar and vice versa. Number of departures increase during the high season. From Split you can also reach Bol with a catamaran. There is also a ferry connection from Makarska to Sumartin. Brac has a population of app. 12.000 people, the main city is Supetar. 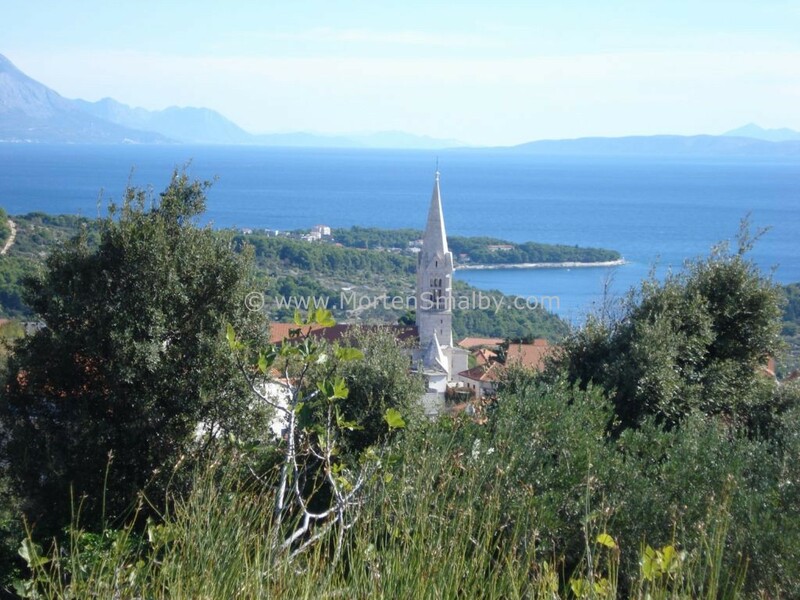 Besides the city of Supetar, there are 7 municipalities: Bol, Milna, Nerezisca, Postira, Pusisca, Selca and Sutivan. 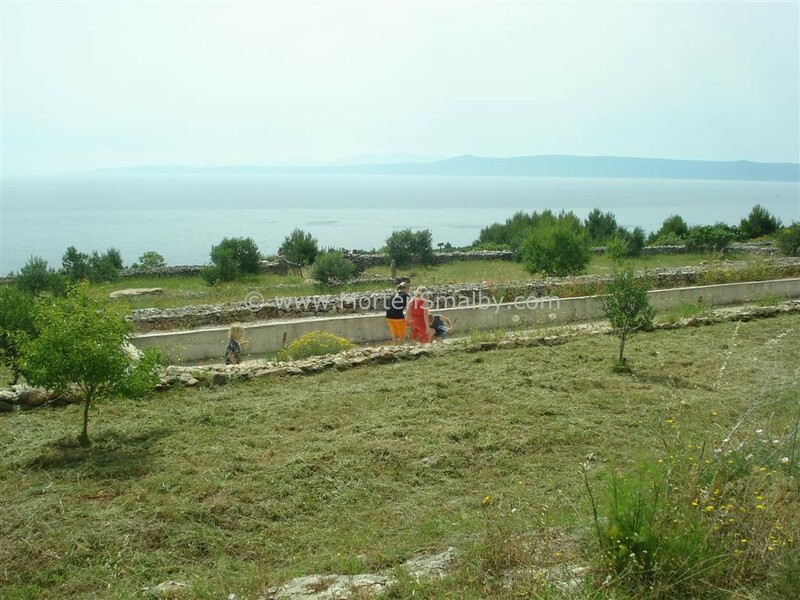 The main place of the municipality Selca is Selca which is placed on a hill overlooking the Adriatic Sea. The municipality includes places Novo Selo, Selacki Zaseoci, Sumartin and Povlja. Selca was first mentioned in the 12th century. We started our trip on Friday afternoon in port of Split where we met our friends Heiko and Ivana (a German/Croatian couple). We took a ferry to Supetar. The ferry trip takes about 50 minutes and cost a bit more then 4 Euros. If you want to take the car, the cost will be between 17 and 30 Euros. After we arrived safely in Supetar, we continued our trip across the island to Selca. The whole ride took us less than 40 minutes. In Selca, we met Irena from the local tourist board. We did a walking tour of the place with her and we were speachless, the place looked beautiful. There are 13 statues in Selca, a remarkable church in the center where you can find Ivan Mestrovic statue of Christ, which was made shortly after WWII from melted firearm cartridges (do to lack of metal and money, this was the only solution). After sightseeing, we continued with the car to Puntinak, the coastal part of Selca, where we had our accommodation for the weekend. After a short break, we walked to the restaurant Bilin where dinner was waiting for us, on the menu there was black risotto, Zagreb cchnitzel and the house specialty, spaghetti with shrimps in Prosecco sauce. For dessert we had pancakes with chocolate and ice creme, it was a hit for the kids. The food was delicious, especially the prosecco sauce, that was an absolute highlight and a must try. The most interesting thing or what I will remember the most was homemade rakija we had after dinner. During all the years in Croatia, I have tasted up to 100 different homemade rakijas and this rakija was made with about 15 different herbs. It is the most unique rakija I ever tried, different than any rakija before. For the next day, Irena arranged a breakfast for us at a small place offering agrotourism. 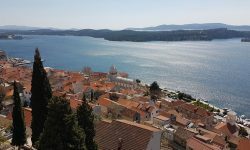 The place was supposed to be 1 – 1.5 km walk from our apartment but as sometimes happens in Croatia, 1 km stretches up to 2 or 3 kilometers so the climb up the hill in the burning sun wasn’t easy. Luckily, we have met a guy in a minibus who was so kind to take us about half of the way, and he even picked us up when we had to leave. 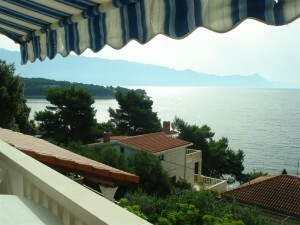 Well arrived at the farm, place we were awarded with astonishing view of the mainland and the Adriatic Sea. 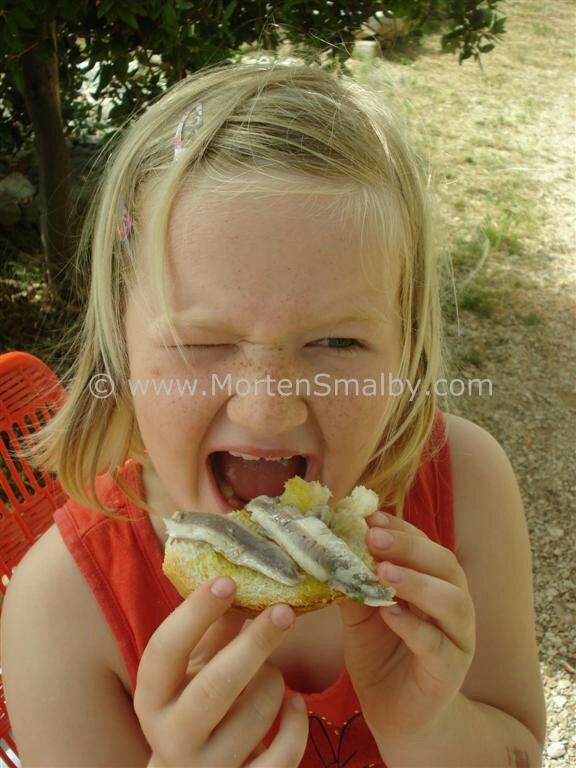 Our host served a typical Dalmatian breakfast with a specialty of the house – fish carpaccio – raw sardines marinated in olive oil, lemon and garlic. 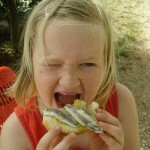 Ida liked it a lot, as you can see on the photo. The place offers accomodation for up to 6-8 people, bathroom and kitchen. 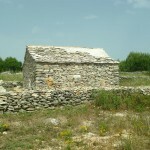 You can also sleep in a traditional small house made of stone (picture below), where the owner used to sleep with his parents when he was a child. This place is not that easy to find but it is worth it; it is so quiet and offers a special experience of Brac as it used to be. Contact the tourist board in Selca for more information about it. 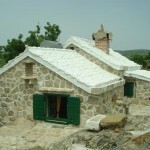 After our breakfast, we went to check out a nicely renovated stone house in the area. The house looked really nice, the owner had spent 5 years on renovating the house and all the details in wood and stone was amazing. You could really see that he enjoyed the whole process and that he put a lot of effort in it. After seeing the house, the driver took us back to our cars so we could continue with the next part of our program. 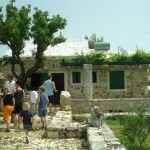 It was lunch in the restaurant “Stara Uljara” (Old olive press) in Povlja where our host served us an excellent grill. The waiter told us the story about the olive press and its history. 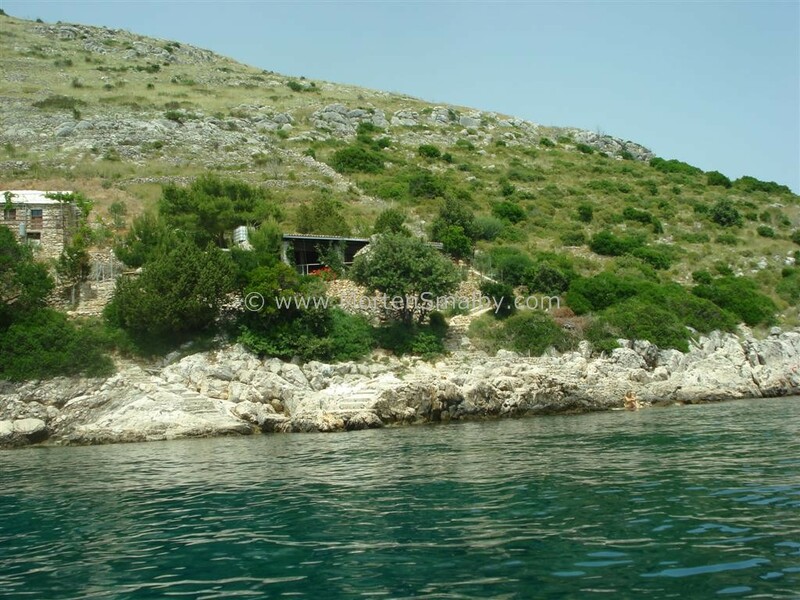 Povlja is a small place situated in a picturesque bay. 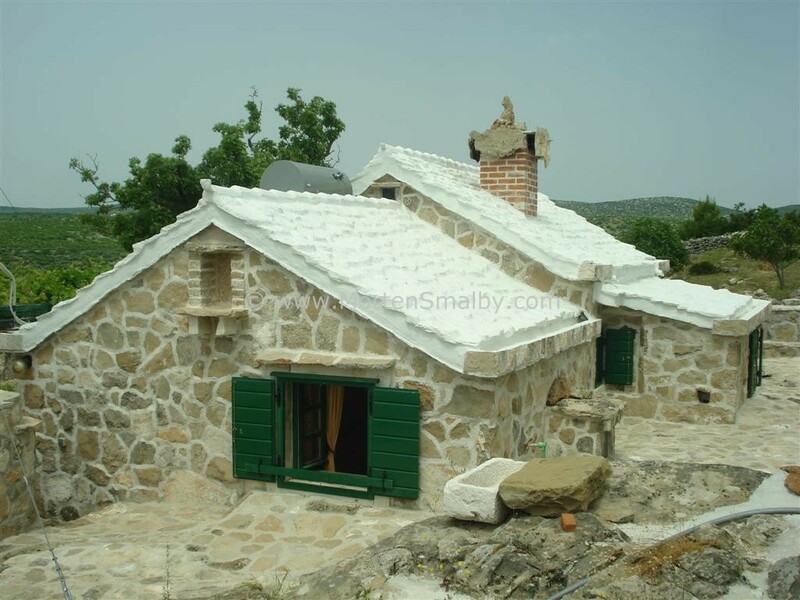 It is a typical Dalmatian place where you can rest and relax. 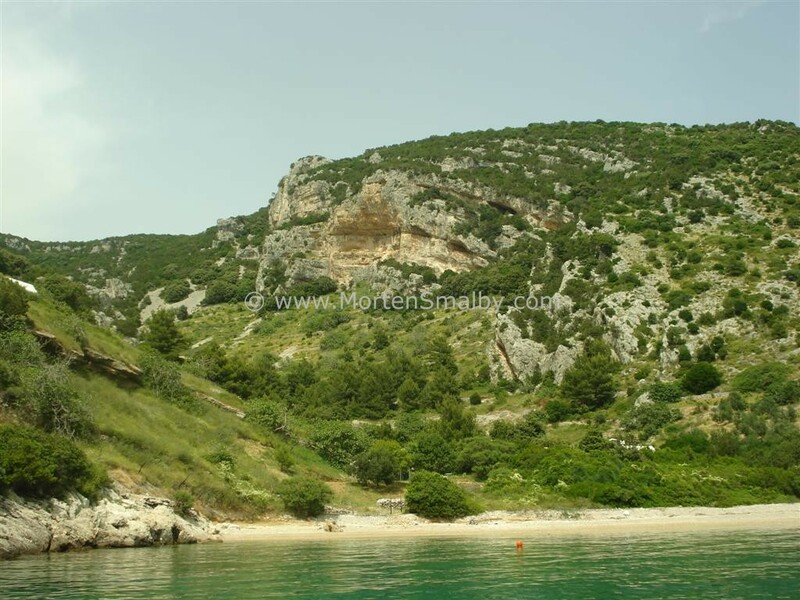 It is ideal for sunbathing and swimming in the crystal clear sea so after lunch, we had a cooling swim in the bay before we went to see the Basilica from the 6th century. One of the highlights of the afternoon was a visit by “Teta Fani”, an older lady who produces herbal tea and creams based on 24 different herbs which she finds in the nature. She started doing it after her husband got very sick. Herbal tea helped him and prolonged his life. The story about Fani spread and people started visit her for the tea and over the years more and more people from different country has used her herbal products for curing all kind of different diseases. 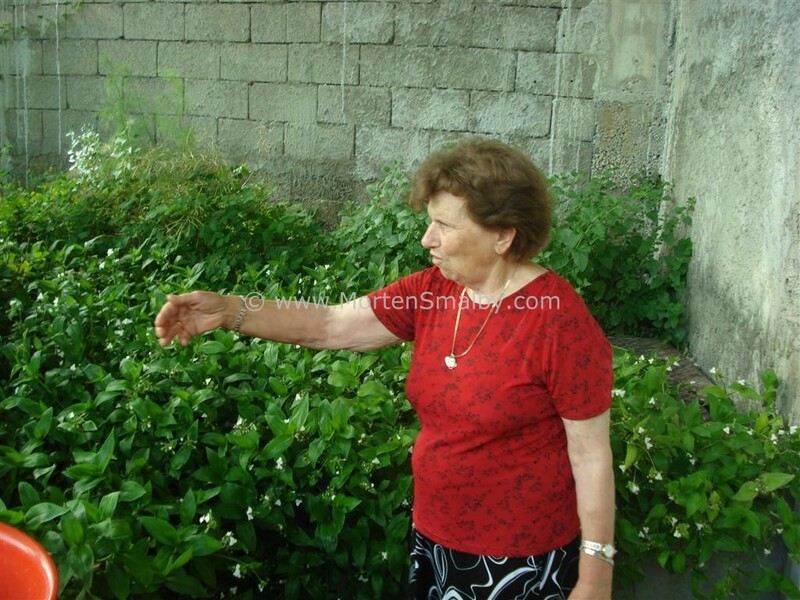 In her garden, she has more or less all the herbs she used for her product, it is mainly to show people different herbs because in her products, she uses only wild herbs. 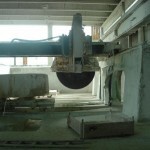 After visiting Fani, we went to a stone-masonry to see how the famous white Brac stone is cut. 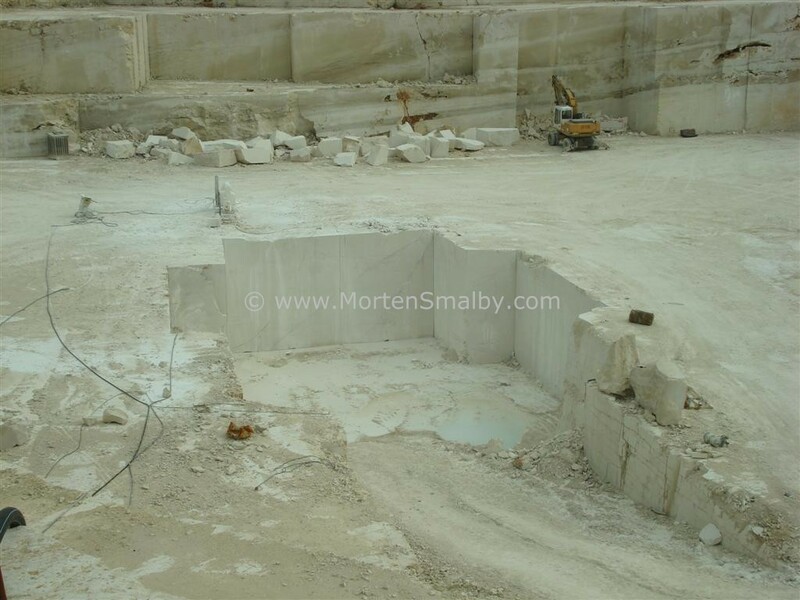 I must admit I never thought about how something like this was done so it was quite fascinating hearing the worker explain how they cut the stone with an “endless” metal line with diamonds. 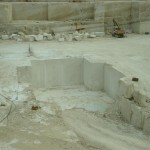 First they cut the sites and the back part of the 3 * 1.5 m block, and later they push wedges under the block till it finally breaks of. 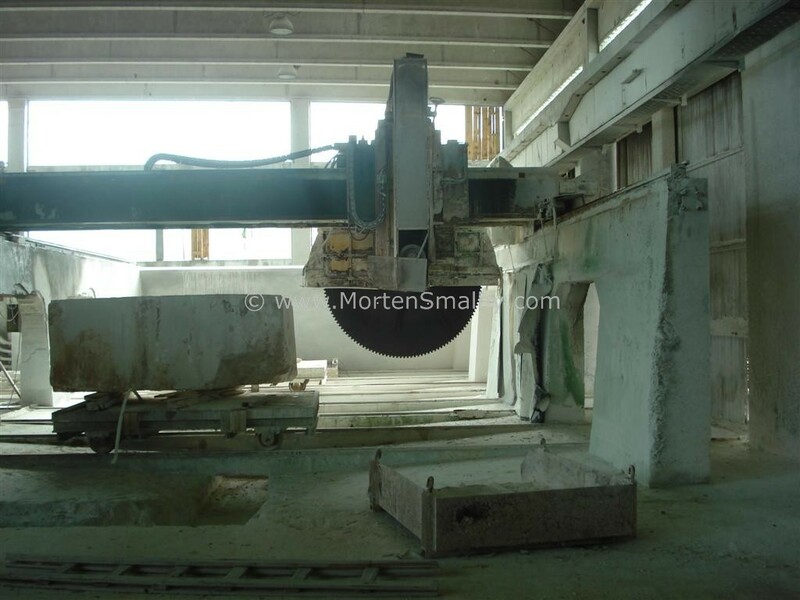 The finished blocks are transported on a huge caterpillar truck to the factory where they are cut it in pieces. 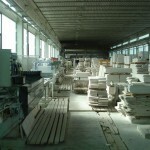 As you can see on the pictures, we also visited the factory. 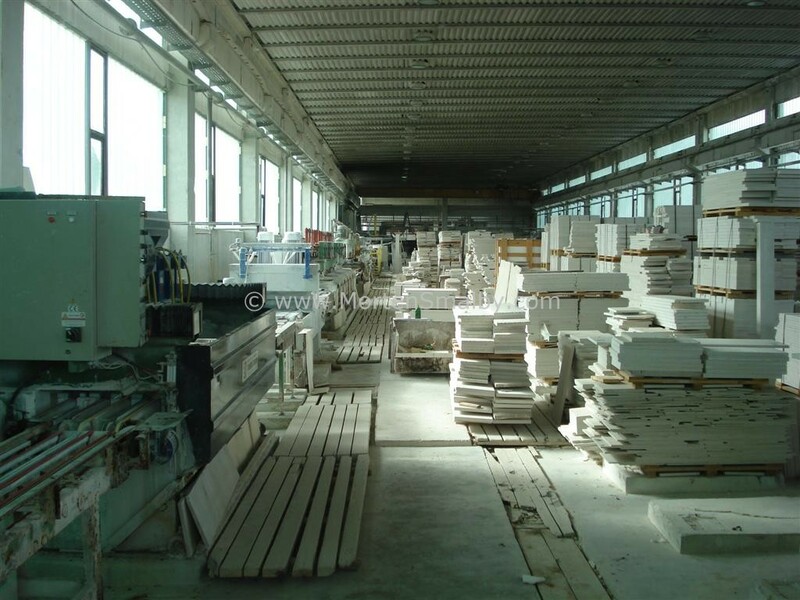 The massive piece on the first picture slices the stone block like a bread, the slices are sent into the production line which gradually makes the pieces smaller and at the end of production line, you get regular sized tiles (30*30). The tiles are really beautiful and with app. 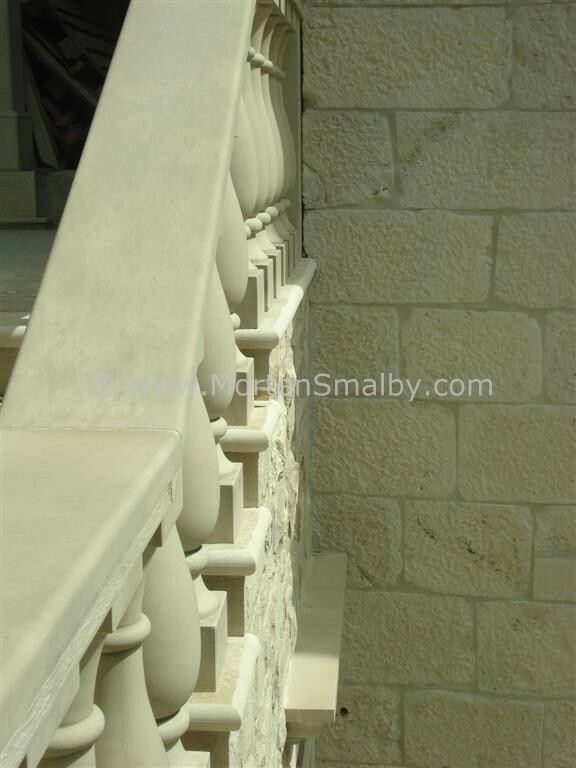 30 euro per m2, also affordable. Last scheduled thing of the day was a visit to a small agro farm outside of Selca. As we arrived, they presented us a table full of homemade product, which included prsut, cheese, bread, figs, nuts, red wine, cherry juice, rakija and prosecco. Of course we wanted to try everything. 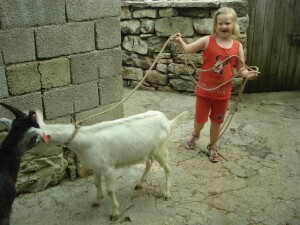 The highlight of the experience was when the kids and the farmer came with goats so we could try fresh goat milk! As I am not that into products made with goat milk, I did not taste it but the others said it was quite good. The owner suggested us to come another time to taste the Red bull from Selca. Red bull from Selca is a cold goat milk mixed with red wine. According to him, this should be a very power full drink! We finished our second day with few beers and a slice of pizza on the main square in Selca, where the locals gathered to watch a world cup game on a big screen. Day 3 started with an excellent breakfast at Restaurant TOP in Sumartin. On the menu there was omelet with cucumber and tomato salad, as well as bread and different sausages. The kids went to explore the area as they always do. Ida suddenly called us and told she found something interesting. 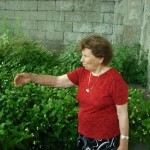 Have a look at the picture below and see if you can find out what Ida discovered. After breakfast, a local water taxi service picked us up for a sailing trip to a remote beach where we had a few hours of swimming and relaxation. The place was really excellent as you can see on the pictures below. At the remote beach, we also visited a local family who has a small house next to the beach. 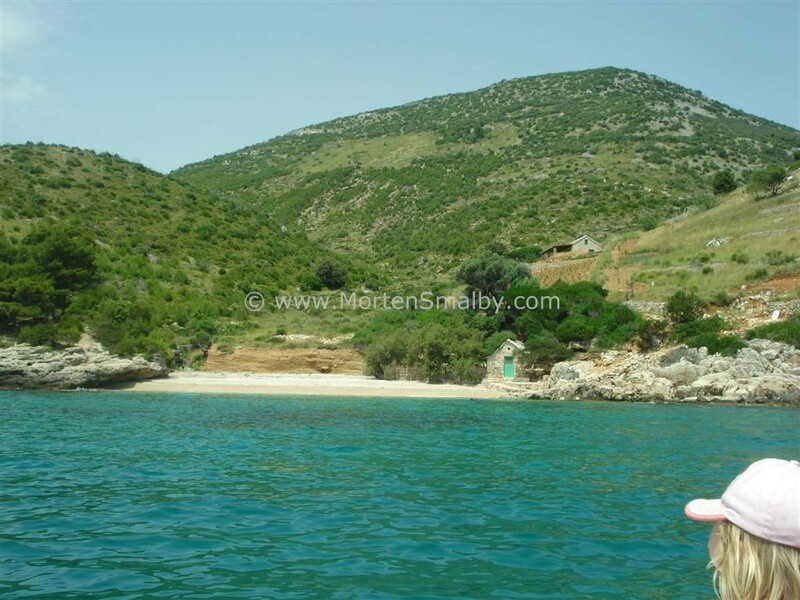 During summer months, they offer sailing trips from Sumartin to the remote beach and the trip include sailing trip as well as barbecue at their terrace. 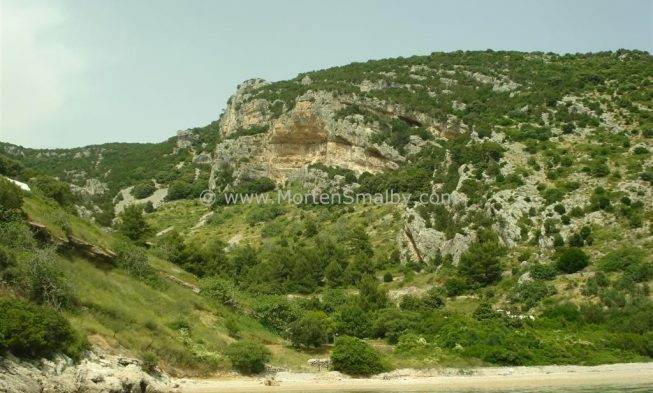 After a refreshing swim, we continued back to Sumartin and on the way the our “taxi driver” took us to some other bays, where we among other spotted this excellent place for hill climbing. 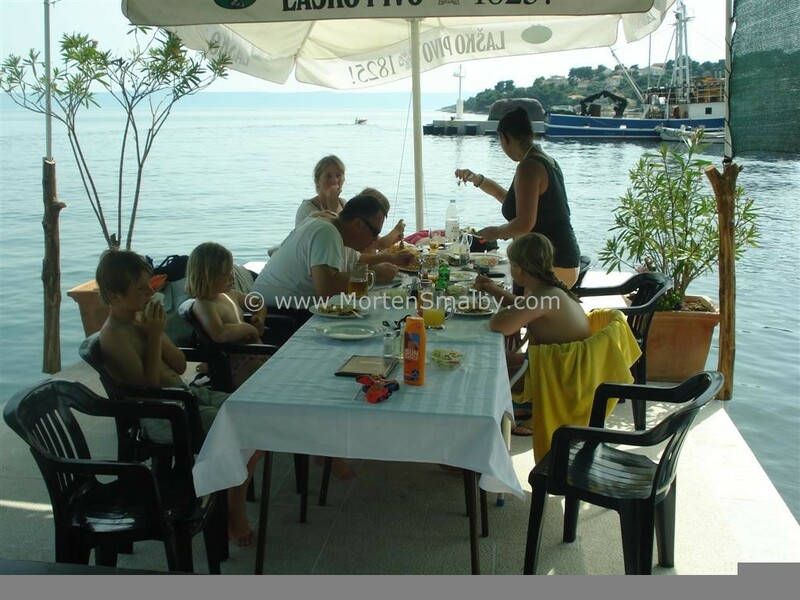 When we arrived back in Sumartin, we had late lunch at restaurant Dalmatino. The restaurant offers amazing views and food you will definitely enjoy. Around 4 PM, we where ready to head back to Supetar after a very exiting weekend on Island Brac. If our travel story of the Selca municipality encouraged you to visit this area, please fell free to contact the local tourist board for more information. Below you can find some general recommendation and information from our side, which we think is good to know before arrival. Prices for daily goods on the island are about 30% higher then on the mainland, so it is advisable to bring what you need. The municipal Selca is a cheaper place to stay than e.g. Bol (which is only a 25 minute drive from Selca). 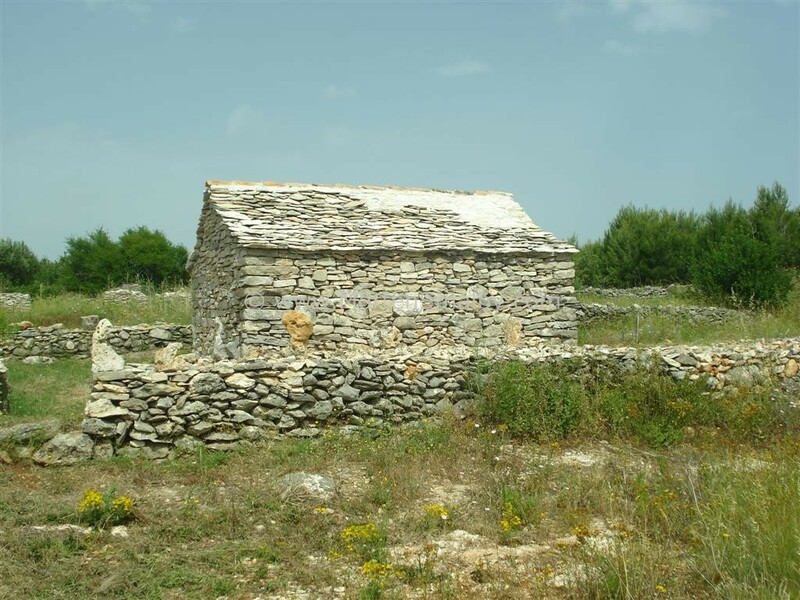 It is highly recommendable to bring a car, especially if you want to explore the island. The nightlife offer on the island is limited, so if you have teenagers that like to party, you might want to reconsider your destination. Try some of the local products like olive oil, it is outstanding. 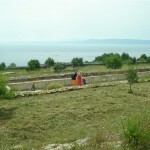 There are great places to visit on Brac island. 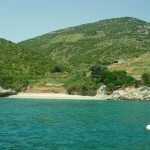 And beach Bol on Brač island is great place for windsurfing.